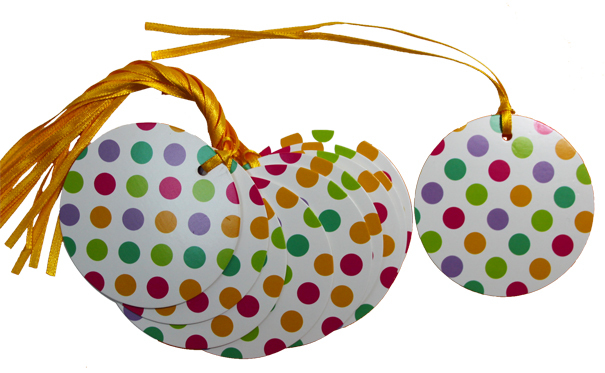 Pack of 10 round gift tags with a multi-coloured spots design. 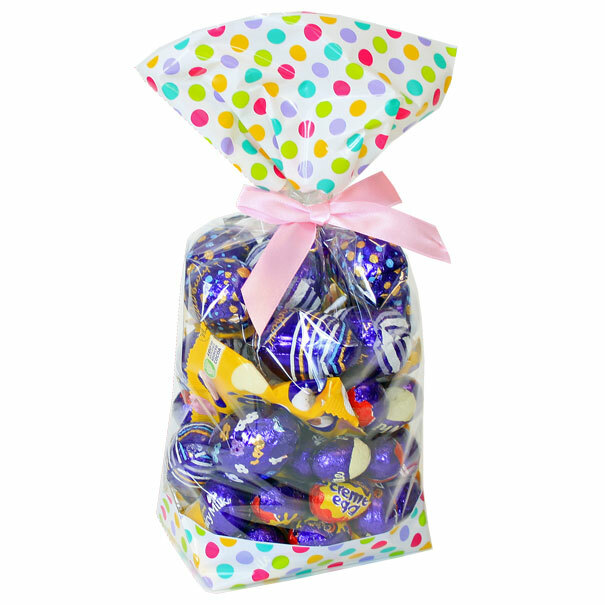 Each gift tag measures approximately 70mm diameter and comes with a co-ordinating golden tying ribbon. 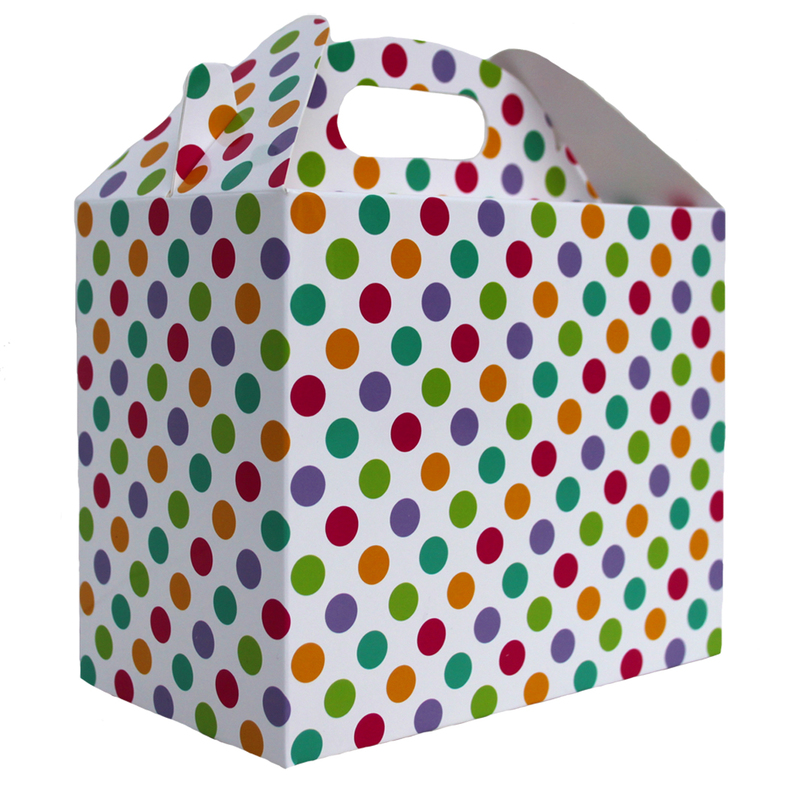 These Gift Tags are from our Spotty Range which includes pull bows, small candy bags, large candy bags, a mini gift tray, gift hamper trays in 3 sizes, a gable box and gift tag.